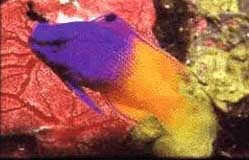 Also called The Royal Gramma. Lives in and around cracks and holes. Often found swimming upside down.